The Athletic Department is hosting a free College Recruiting Night for interested junior and senior male and female athletes and their parents TONIGHT September 12th at 7:00 in the Cafeteria. The evening should last about one hour. Topics will be discussed to help you make an informed college decision if you plan on being a student-athlete at the collegiate level. Tim McDonough ’91, Baseball Coach at Lewis University, will serve as the guest speaker for the evening. Next week is Homecoming Week. Please check your child’s email for updates on daily themes, dress codes, events and more. If you have not done so yet, please turn in your Vike Hike permission forms to Dean Shaw. If your child is going to be absent, please send an email to Nurse Cook at mcook@stlaurence.com. By emailing, this covers the day’s absence and also the note required for the student’s return to class. If your child needs to purchase a card for books on their iPad from the spirit shop, the deadline is TOMORROW, Thursday, September 13. The spirit shop will be open before school. This is the last call to fill out our sibling information form for 7th and 8th grade siblings so that we can send them a St. Laurence t-shirt! Seniors and their Parents are invited to attend a College Financial Aid Presentation and College Rep Panel to take place in the STL cafeteria on Monday, Sept. 24 at 6 pm. 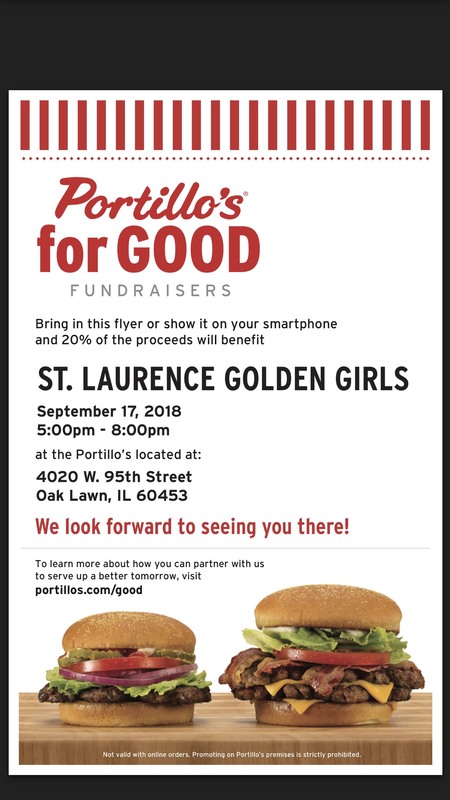 Please contact Mrs. Kasboske at (708)458-6900 X222 or akasboske@stlaurence.com to confirm how many people will be in attendance so a sufficient number of handouts will be available. Thursday, September 20, 2018 at 7 pm – Guest speaker Dr. Tom Pallardy discussing Social Emotional Issues and Anxiety; Club dues ($25 per club) due at meeting, all parents are required to join. Feel free to bring or send in your donations for raffle baskets! Those interested in the Peru Immersion Trip in March should see Mr. Turney to receive an application. Application deadline is Friday, September 14. Take advantage of this once in a lifetime opportunity!